September 1, 2016 in Tastings & Reviews. June 13, 2016 in Tastings & Reviews, WhistlePig. December 10, 2015 in Maker's Mark, Tastings & Reviews. December 8, 2015 in Laphroaig, Tastings & Reviews. November 20, 2015 in Angel's Envy, Tastings & Reviews. 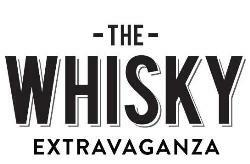 November 18, 2015 in Speyburn, Tastings & Reviews. October 27, 2015 in Glenfiddich, Tastings & Reviews. October 25, 2015 in Glenfiddich, Tastings & Reviews. October 14, 2015 in Crown Royal, Tastings & Reviews. August 30, 2015 in Highspire, Tastings & Reviews. August 28, 2015 in Tastings & Reviews, WhistlePig. August 27, 2015 in Alberta, Tastings & Reviews. July 2, 2015 in Hobson & Roberts, Tastings & Reviews. June 18, 2015 in Laphroaig, Tastings & Reviews. May 20, 2015 in Macallan, Tastings & Reviews. May 15, 2015 in Tastings & Reviews, WhistlePig. May 6, 2015 in Glenlivet, Tastings & Reviews. May 4, 2015 in Ardbeg, Tastings & Reviews. April 27, 2015 in Laphroaig, Tastings & Reviews. December 11, 2014 in Amrut, Tastings & Reviews. Enter your email address to follow Whisky Proper and receive notifications of new posts by email.